Crazy Australia Stamps Update ! Expensive kiloware! 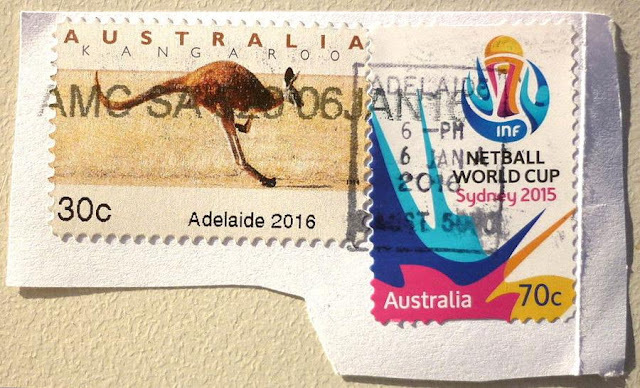 An update on the Australian Emergency 30c stamps from Adelaide. Before you look at the answer which I have added to the original post, what would you think this single piece from kiloware. Used on the first day of availability, 6 January 2016, cut quite close. Remember this cover, which is not first day, sold for A$1694.58 - £842!!! Here's the original report - there's money down-under, for the right thing!